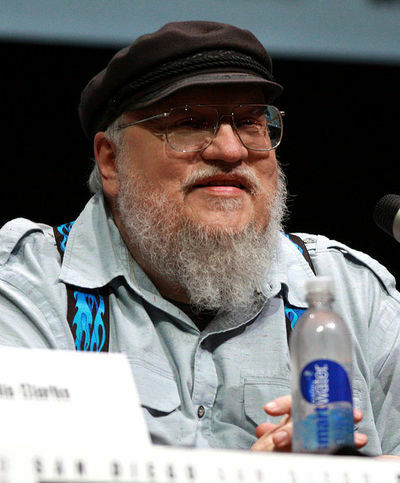 George RR Martin, author of the Song of Fire and Ice fantasy series and subsequent TV series Game of Thrones has recently stated he would like to make more episodes per season. Instead of the regular 10 episodes, Martin feels he could add more life to the story upping the episode count to 13. What do you think? Do things move at a good pace already, or would you like to see more of Game of Thrones? I like Game of Thrones, but I don't love Game of Thrones. This is mostly because I have a hard time following the story, at least I did until I read the books. There are just too many characters and none except the Starks were really introduced properly which makes for a confusing show. If George RR Martin thinks he can expand the story with three extra episodes per season, then I say go for it, at worst nothing will change, at best it will clear up a lot of the character confusion and make the show much more watchable. I agree, a lot of the back stories are missing! It sounds like a good idea. I'd gotten used to other shows with much longer seasons (20 or so episodes) and 10 seems quite short to me. I'm not into the violence of Games of Thrones, but I like the fantasy element. I don't actually watch it, but I am aware that it is a very good series, and I think another series would not go amiss. Absolutely - bring it on. I really enjoy Games of Thrones. Of course he would! It's MORE money to him! Never watched it. Subject matter not my scene!